The day has finally come for myself that all indie unknown artists (probably) dream of. My two songs “Paralyzed for Life” and “Almost as Much” have BOTH surpassed 1000 streams on Spotify. I know it isn’t that big of a deal to some; but as a struggling artist with killer imposter syndrome, it really means the world. In all honesty, these two songs are old and I cringe at the sound of them since I’ve improved so much as a songwriter, singer and performer. The idea that people are listening to them makes me want to hide under a rock. But I don’t want to remove them because they were such big steps in my career as an emerging artist., I think it’s important to have these little milestones to keep track of your progress. I get so caught up in future goals and get discouraged with how far I still have to go, that I forget how far I’ve really come. These little reminders are refreshing and inspiring! With these songs I can proudly say I’ve improved. I’m making progress as a musician. You can have a listen to them here. Please let me know what you think! With my podcast and radio show - Winnipeg Music Project, I’ve been invited to speak on a panel or two at the upcoming Manitoba Podcast Festival. I’m nervous since I feel like I would be attending the panels rather than being on one but I’m so flattered and feel I might have something interesting to say. I have some more information down below so keep on reading! Sept. 30 is International Podcast Day, so Winnipeg's podcast community is getting together for panel discussions, workshops and more! 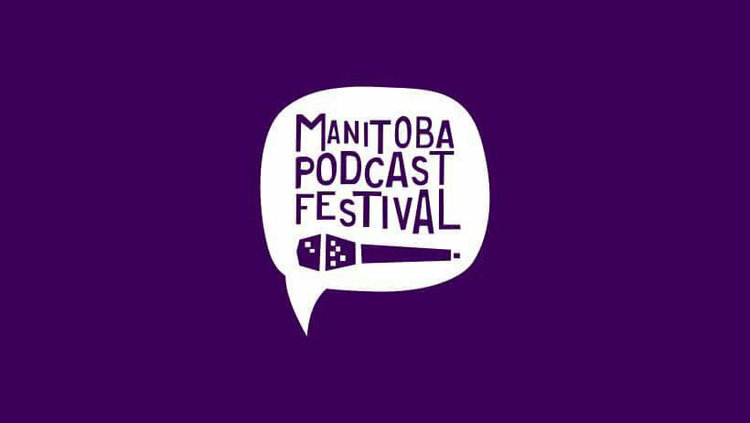 The inaugural Manitoba Podcast Festival features local podcast hosts, producers, traditional radio personalities, and other members of the broadcast media (DIY or otherwise). They're joining forces to help up-and-coming podcasters develop their skills and their unique voice, and to highlight some of the excellent work in the medium happening just below the mainstream in this province. Tickets will be the low, low price of $5! You can purchase them here. I’ve included some photos below from the performance and I truly recommend you go and check out the music of these two talented people. They really are such wonderful people and you will seriously enjoy their music. Ah, I feel so good right now. I can’t wait to finish the songs I’m working on right now to share at another upcoming show. Stay tuned if you wanna hear them! I drove out to my very first and official festival performance the over the weekend. I was nervous and spent the almost 2 hour drive out to the festival doing vocal warm-ups and running through my lyrics and set list. Having never done something like this in the past, I had to idea what to expect. Thanks to some fairly straight forward directions that were sent to me before I ventured out, the location was surprisingly easy to find. All the volunteers were some of the most friendly people I’ve ever met and made me feel really comfortable from the moment I arrived. I set up near the cafe and play my tuned to a handful of campers and shared a couple songs I’d changed the choruses too and got some really great feedback! I’ll definitely play them again at the Bartley Knives album release in September so I recommend you come out to that show if you wanna give them a listen! My friend, and other half of Team Summer, Graeme Houssin interviewed me about my involvement in the music community as a performer and podcast host. I was nervous to talk about myself but they made me so comfortable and we had a lot of fun. Graeme also has killer writing skills so it all worked out! You can read the four page interview here, on page 14-17! Let me know what you think and be sure to tell Graeme how awesome of a job they did! The Winnipeg Music Project has an official Patreon page! After many long showers debates and many more months of planning, we've finally made the move! This is a totally optional way of supporting us and if you're following us on social media and/or listening to the radio show or podcast, THANK YOU! That's wonderful support and you can keep doing just that. BUT if you feel you want to make another step in supporting the show, and you're financially available, this is the perfect opportunity because you get perks too! All the details are on the page, and 100% of all patron donations go right back into the show. With exciting plans to release video content, live show performances, and much more, this is a totally amazing opportunity to show support for your favorite local music-makers! Check out the page and see if it's the right choice for you~! Thanks in advance and I can't wait to get started! My friends from Colour by Numbers released a new music video and I was lucky enough to participate! These guys are real pros with lighting, camera angles and getting everything done in a day! I had so much fun filming and played the role I was born to play - bored karaoke host. After four long and trying years of music, tears, and self discovery, I can finally say that I've graduated with a degree in Music from the University of Manitoba. Now that I'm done, I 'm looking forward to what is in store for me.. Stay tuned ~! I had the wonderful chance to performed at this year's Brewno's for my friend Broose from Beer for Breakfast! I met such wonderful artists and played in such a supportive and entertaining crowd. Here are some pictures from last night of me singing my little heart out. With my interest in 20th century music, Professor Horton and I decided to work on some prepared piano pieces composed by John Cage. I had the opportunity to perform the pieces in a Midday recital for my classmates and it was one of the most terrifying experiences. I avoid performing in front of my classmates as much as possible. Performing classical music confidently isn't exactly my strong point, although I had been working on it throughout the four years of my degree. Prepared piano is a 20th century style of performance where with objects placed on or between the strings, or some strings retuned, to produce an unusual tonal effect. In the case of the two pieces I played, I needed two separate pianos because the preparations were different for each. Weather stripping, Stove bolts and wood screws were used and before I came on to give a little explanation about the pieces, Professor Horton came onto the stage and set the preparations in front of everyone. I was so nervous my eyeballs were vibrating. Luckily I made it through the performance and was alarmed by the warm and receptive applause. I was beaming and this is definitely one of my proudest moments of my degree. Here is some footage of the live performance. Participated in New Music Night at the Goodwill through Manitoba Music and had such a wonderful time performing in front of a friends! I can't believe how great the sound is in that place. I finally got to hear and meet Brandon based songwriter Mitchell Mozdzen. He is amazingly talented and I'm going to keep my eye on him~! Thank you to Lhasa Petik and Parker Bearing for performing with me, Robbie Harper from Acoustic Nights WInnipeg did an excellent job putting the event together. And thank you to everyone who came out to support our music. Thanks to my friend Jackie from Living Music Ink, I had the opportunity to sing the National Anthem for a couple of the University of Manitoba Bisons games. The first time I was so nervous I totally hesitated on one of the lyrics but caught myself and finished strong. Since then it's been a lot easier. Here is me singing for my second attempt. The adrenaline rush is like nothing I've ever experienced and I hope I get many other opportunities in the future. Had a really great time at the city place food court for this year’s Downtown Concert Series. Such a lovely and supportive audience! I really enjoyed playing my new songs for you guys. I’ll definitely consider learning ‘Purple Rain’ as suggested afterwards by a listener. Thank you for coming down! Two of the craziest experiences I've had on stage were the two witchpolice radio Big Mix-Up events I participated in. Sam decided to gather a group of musicians from an array of different genres onto the Park Theatre stage and have them make music on the spot. Before every improvisation, the audience would call out a genre and topic to perform about. Here is a link to the witchpolice live recording of each event and some video that was taken of some of the on-the-spot jam magic that happened those nights! With my youth mentorship in it's third month, ACI included Roland and me in their most recent newsletter. It was exciting to be interviewed about the progress we've made as a team. It's a snapshot into the beginning of what we've started and our plans. I've included the link below so you can read the whole thing. Also, I've included some of the video logs (or vlogs) that Roland and I have used as a tool to document our progress every time we get together. You can see were a just a pair of goofballs having a good time. I feel super lame re-sharing this interview on this page after posting it on the Winnipeg Music Project page, and especially since I just posted an interview of myself as my last blog post, but this is my blog so I can do whatever I want. A few weeks back I was interviewed on my own show, the Winnipeg Music Project, to talk about the show and the recent BreakOut West internship I had done. It was special because it was a LIVE interview and Jared McKetiak, the station manager, asked me funs of exciting questions about myself and music. I really appreciated having him there with me in the studio because I was incredibly nervous. When I usually pre-record my interviews, I would be able to edit and fix mistakes that might happen during the interview. When you're live you don't really have that opportunity. This is was good and healthy experience for me. Back In September I was interviewed by my friend Kelly Hughes on his show called The Ivory Tower on CKUW 95.9 FM. We premiered my single "Paralyzed for Life" when it first was re-released in September and promoted the Winnipeg Music Project. It was a really weird experience talking about myself. Something I had done previously on the WitchPolice Radio show (which is how my friendship with their host Sam first came to be).